The wealthiest 10 percent of U.S. household are most like to name Royal Caribbean and Carnival among the brands they have cruised aboard during the past five years, according to a new survey by the American Affluence Research Center. The top 5 brands named (and the percent of affluent cruisers naming each brand) for cruises taken during the past 5 years were Royal Caribbean (30%), Carnival (24%), Princess (20%), Celebrity (16%) and Norwegian and Holland America (tied at 15%). Of the 4 luxury brands (Crystal, Regent, Seabourn, and Silversea) listed in the survey, one was not named at all and 3 were named by 3% to 5% of the affluent cruisers. “This survey validated our previous survey estimates, which have been met with some skepticism, of about 3.5 million annual affluent cruisers across contemporary, premium, and luxury categories, and demonstrates the opportunity for luxury and premium brands to increase their share among the affluent and for travel agents to sell up with higher priced accommodations, longer cruises, and more upscale brands”, according to Ron Kurtz, President of American Affluence Research Center. The survey identified the number of cruises (3 nights or longer) taken in the past 10 years by type (ocean cruises and river cruises). 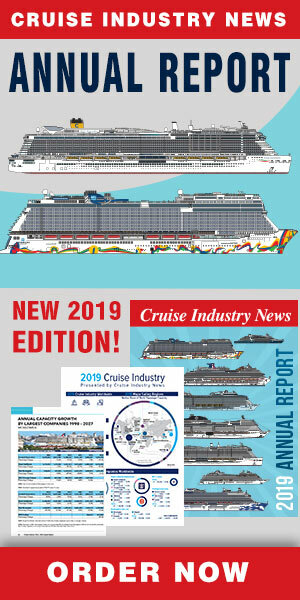 The survey also determined for each of 19 listed cruise brands, which the affluent cruisers have cruised with during the past five years, are familiar with but have not cruised with, feel are overrated, and believe attract status seekers, quality oriented cruisers, experienced travelers, value oriented cruisers, cruisers younger than me and /or travelers like me. Familiarity with and perceptions of all the brands were both rather low, especially for the luxury brands, and thus represent potential obstacles to increasing the cruise business among the affluent, over half of which said they had not cruised during the prior 10 years. “Travel agents can be an important force in overcoming these obstacles, particularly for the brands with limited marketing budgets,” Kurtz noted. The 19 listed cruise lines were Azamara, AMA Waterways, Avalon Waterways, Carnival, Celebrity, Crystal, Cunard, Disney, Holland America, Norwegian, Oceania, Princess, Regent Seven Seas, Royal Caribbean, Seabourn, Silversea, Viking River, Uniworld, and Windstar.